Linda Darlene (Denkeler) Briley, 69, of Portland, TX, went to be with our Lord and Savior Saturday, March 30, 2019. She was born January 12, 1950 in Kingsville, TX to the late Gerhardt F. Denkeler, Jr. and Audrey B. (Moerbe) Denkeler. She was a graduate of Roy Miller High School in 1968 and went on later to obtain her bachelor’s degree from Corpus Christi State University in 1988, starting her teaching career soon thereafter. 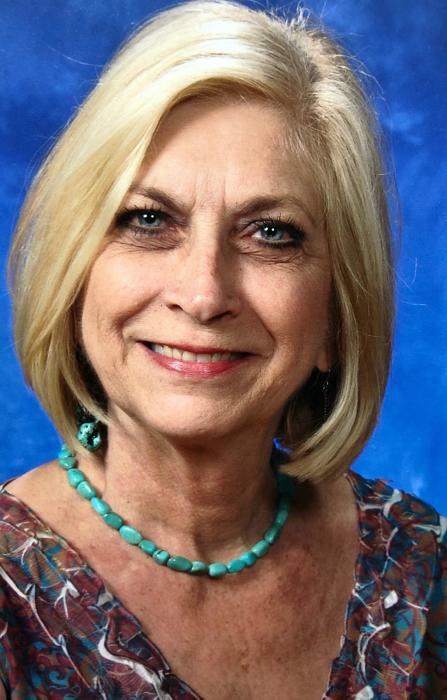 She taught English and Reading at Driscoll Middle School in Corpus Christi, TX, then finished her career at Gregory-Portland I.S.D., retiring in May of 2015. She loved to travel, listen to music, and dance and she did all three as much as she possibly could. She was preceded in death by her father, Gerhardt F. Denkeler, Jr. and her son-in-law, Eric Garcia. Linda is survived by her husband, David Van Briley; children, Kristin (Omar) Hernandez, Megan Garcia, Tyler Briley, and Katy (Sean) Zonkel; grandchildren, Kaela Garcia, Aaron Hernandez, Elisa Garcia, Austin Silva, Andrew Hernandez, Kennedy Silva, Kyleigh Silva, Audryanna Garcia and Carrigan Zonkel; mother, Audrey Denkeler; siblings, Ellen (Doug) Lott, Joann (Jerry) Dorminy, and Russel (Karen) Denkeler; nieces and nephews and numerous cousins as well as friends who were like family to her. She will be tremendously missed by all.